There’s a lot of confusion and myths surrounding bitcoin and blockchain, and if you’re going to jump into the market, it’s important to fully understand what you’re getting into. 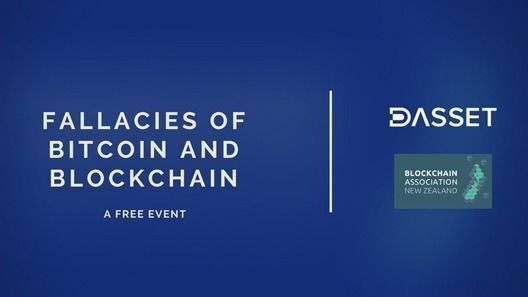 Come along to learn more about bitcoin, blockchain and some of the most common misconceptions about these technologies in an informative talk given by Stephen Macaskill. With a decade of experience in startups, monetary theory, and traditional financial markets, Stephen dove head first into the digital currency space when his precious metals company was the first in the industry to accept bitcoin as a payment method. Through this process he realised that bitcoin is converting analog value to digital value, creating a new digital gold. Now he is CEO of Dasset, a New Zealand based cryptocurrency exchange. 19:00 – 19:30 Pizza + Networking!